Chapter 1 (v.1) - Small Marine Craft Navigation. Chapter 2 (v.1) - Measurement of Direction. Chapter 4 (v.1) - Working in Angular Measurements. Chapter 5 (v.1) - Indicating Direction at Sea. Chapter 6 (v.1) - Understanding The Marine Compass. Chapter 7 (v.1) - Reading the Compass Card. Chapter 8 (v.1) - Converting Compass Notations. Chapter 9 (v.1) - Taking Compass Bearings. Chapter 10 (v.1) - Special Steering Compasses. Chapter 11 (v.1) - Measuring Distance and Speed at Sea. Chapter 12 (v.1) - The Marine Log. Chapter 13 (v.1) - The Use and Calibration of Marine Logs. Chapter 14 (v.1) - Calculating Navigational Time, Speed, and Distance. Chapter 15 (v.1) - Measuring Water Depth by Poles, Sounding Leads and Lines. Chapter 16 (v.1) - Measuring Water Depth by Echo Sounder. Chapter 17 (v.1) - Binoculars, an aid for Navigation. Chapter 18 (v.1) - Navigational Aids for Sail Powered Craft. Chapter 19 (v.1) - Small Marine Craft Automatic Pilots. Chapter 20 (v.1) - DR Computer, an aid to Navigation. Chapter 21 (v.1) - Required Chart Instruments for Navigation. Chapter 22 (v.1) - The Navigational Chart. Chapter 23 (v.1) - The Measurement of Latitude and Longitude. Chapter 24 (v.1) - The Construction of Navigational Charts. Chapter 25 (v.1) - Chart Scales, Graduations and the Measurement. Chapter 26 (v.1) - A General Description of Charts. Navigation is the technique of finding your way from one place to another, and estimating or locating your position at any time along that way. The word navigation is a combination of the Latin name for a ship, navis, and to drive, agree. Therefore, the original meaning of navigation was ship-driving, which included steering the ship and the setting of its sails. At the start of the Air-Age it was suggested that the word for a bird avis should replace the original "navis",making a new and peculiar word of avisation.Thankfully the idea was rejected as common sense prevailed. Once considered as an art, navigation has become more of a science due to the technology now applied to it that affects the three distinct types of craft, those being marine craft, aircraft, and spacecraft. The Military Riverine Course was obviously concerned with the navigation of marine-craft, the oldest of the three applications regarding navigation. However, advanced territorial navigation, which is the ability to find your way across unfamiliar countryside with or without a map, day or night and in all weathers formed part of the course, and will be explained in a later simplified guide. When at the helm of a small marine craft at sea and some distance offshore, it is easy to become lost in a world of desolate seas and unfamiliar coastlines. So, the ability to know exactly where you were and how to reach a port safely was considered a paramount skill for a Riverine. The classical definition of marine navigation is the art of conducting a ship safely on its way, and there are three main sections of navigation. Firstly, there is pilotage, which is the navigation of a vessel in confined or semi-confined waters by conning a vessel in relation to nearby natural features and navigational aids, and in relation to other shipping. To con a vessel is to direct its progress by observation and estimation by eye, this method being used when there is insufficient time to lay-off courses or to make and plot instrumental observations because of the confined space in which the navigation is taking place. Secondly there is coastal navigation, which is navigating a vessel within sight of land but in open or semi-open waters, by means of observations of terrestrial objects in the way of land features such as buildings, lighthouses, headland beacons, and so on, and then plotting these observations on a chart. Thirdly is astro-navigation, which is navigation out of sight of land by means of observations of celestial bodies, the sun, moon, stars, and planets, and from which accurate positions can be calculated and plotted on ocean charts. 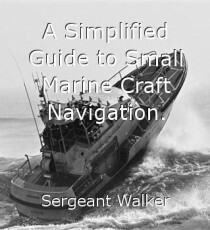 The majority of small marine craft navigators only concern themselves with the first two of the above to pilot themselves in and out of port safely, and to navigate offshore in coastal waters. However, a good working knowledge of Astro-Navigation would undoubtedly be an advantage for a navigating sailor, and could prove invaluable in certain boating situations. Ok, Navigation , it is the process of finding out where you are, proceeding in the right direction to wherever you want to go, and ensuring firstly that the route you have chosen is a safe one, and secondly, that you stay on that proposed route. Therefore, sailing aimlessly is not navigating, for to navigate it is necessary to have an objective, and the actual process of navigation involves three stages. The first stage of the process of navigation, requires the navigator to determine a route to his proposed destination, and to follow that route, the second stage of navigation takes place as the craft proceeds on its way. The second stage requires the navigator to determine his position, and so enabling him to check his progress compared to the predetermined route. If he finds an error then he must amend his route by selecting a new course, and possibly change speed, and to drive his craft accordingly. Sailing an amended route requires the finding of further positions and then re-correcting course and speed as required and so on and so on until reaching the final destination. Therefore, it is extremely important that progress along an amended route must be re-checked. The final stage of navigation, the third, interacts with the second, and involves the actual driving of the craft, the steering and utilization of the crafts motive power. To do the process of navigating properly, the budding navigator must first set about learning something about the tools of the navigator's trade, for navigation, like almost all other things done in life, can only be done properly if the person doing it is equipped with the proper tools or instruments. In the second stage of the process of navigation as previously described, a craft must move with a certain velocity, which has two elements, direction and speed. A navigator must therefore have some means of indicating the direction in which his craft is travelling. True that the Sun rises approximately in the East and sets approximately in the West, but how is a navigator going to tell direction when the sky is overcast or his vessel is enveloped in fog. Therefore, he must have a Compass. Secondly, he must know how far his vessel has travelled through the water, from that the vessels speed is also calculated. The instrument that tells your distance and speed through the water is called a trailing log, also termed a taffrail log. Thirdly, it is very useful to know how deep the water is in which the vessel is floating, because this can very often be a valuable indication of the boats position. Finding the depth can be done very simply with a lead and line properly marked off in meters or feet, or by means of the more sophisticated electronic echo-sounder. One of the most useful instruments available to a marine navigator is his eyesight, since keeping a good lookout and the ability to identify objects, particularly at a distance or in poor visibility, is so important to safe navigation. An artificial aid to vision can therefore be a most important navigational instrument, and whenever you go to sea, you should be equipped with a good pair of binoculars. Then there are various other types of instruments available such as Sailing Aids, Automatic Pilots, Dead Reckoning Computers, and Radio Instruments that although not essential are very useful aids to navigation and certainly worth a consideration. For the first and second stages of the process of navigation, you must have Charts, and guides to inform you about the sea area you are navigating. Those guides to coastlines and adjacent waters are termed Sailing Directions" or Pilot Books and each of those are important navigational instruments. Later sections within this guide will describe the use of each of the aforementioned instruments of navigation, and explain some of the basic principles of navigation connected with them. In fact, so important are these instruments that many paragraphs which follow are devoted to describing them. To plot lines of direction and positions on charts, you need certain Chart instruments such as dividers, parallel rules, and so on, and these are also described later in this guide. However, before turning to the first of the navigator’s instruments, the Mariner's Compass, it is necessary to understand direction for it is measured and used in navigation. 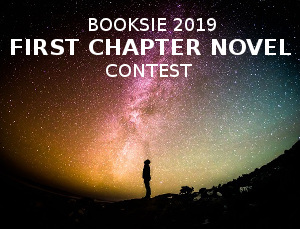 © Copyright 2019 Sergeant Walker. All rights reserved. This page was created in 0.4307 seconds.